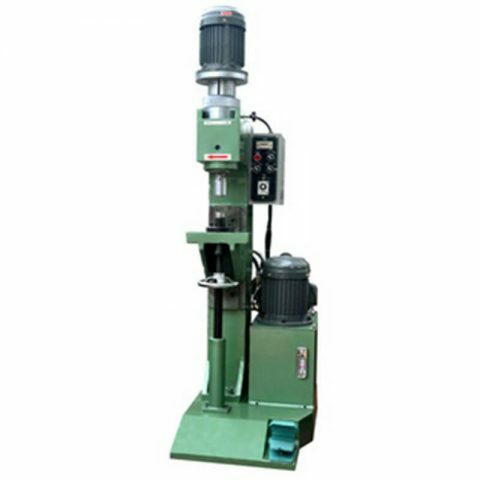 Double Heads Orbital Riveting Machine is customized riveting machine with twin Orbital Head. 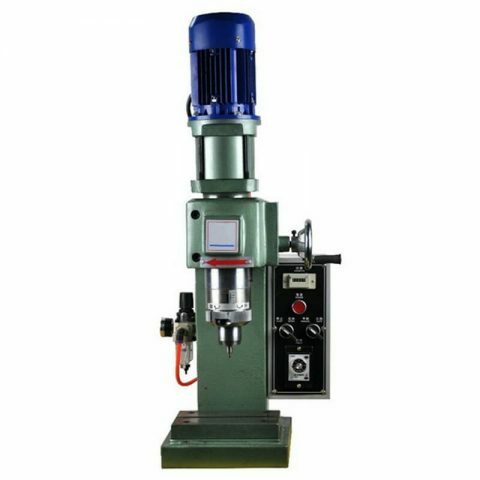 Double head Orbital riveting machine is specializing in manufacturing many products such as door hinges, cookware, hardware, aluminum ladder, etc. Orbital riveting is the latest forming and fastening process which instead of spinning, hammering, pressing, welding, upsetting, the riveting result is a very smooth surface on metal, it will increase much production and save power. Door hinges manufacturing, Cookware production, Caster wheel riveting, Aluminum ladders riveting, etc. 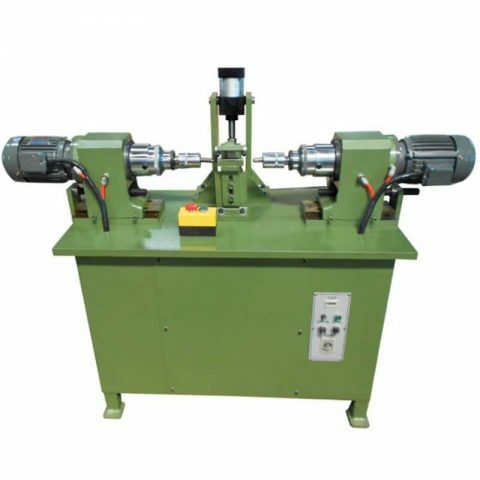 This model consist of two orbital riveting head at one workbench, horizontal type. 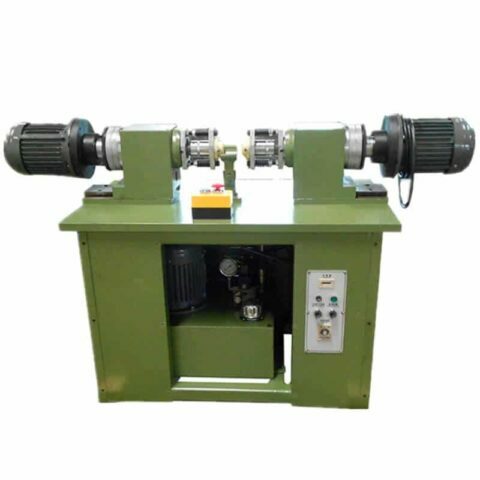 This riveting machinery can process two riveting fastening at both sides on one action, to save human cost for the production of door hinges, cookware, caster wheel, aluminum ladders riveting, etc. No need riveting side by side, dual head orbital riveting will process two sides at once. Increase much production and save labor cost. Rivet will be automatically riveted from both sides. Acceptable for hollow rivets, semi-tubular rivets, solid rivets. Easy operation. Workers operate the machine by stepping foot pedal. Horizontal type, make worker relax and comfortable. Hydraulic driven or pneumatic driven. Mold adopts alloy steel KD11 material. Take small area, easy maintenance, very easy to replace worn parts by workers. High productive and economic price. Safety devices for preventing human injury. 24 months warranty for Double Heads Orbital Riveting Machine, 6 months for riveting tooling.